We usually associate new year with new beginnings and according to astrology this January is exactly about that. 2017 was all about expansion and building foundations while 2018 is all about action, building on those foundations and illumination. January starts giving us an energy boost to gain momentum and focus for the action we need to take in order to live the life we want to live. If you’re not the melancholy type, don’t worry, the first day of this month we begin with the Moon in Cancer and the Sun in Capricorn. Keep your feet on the ground and your heart on the sleeve while these two open the door to a day we associate with change. 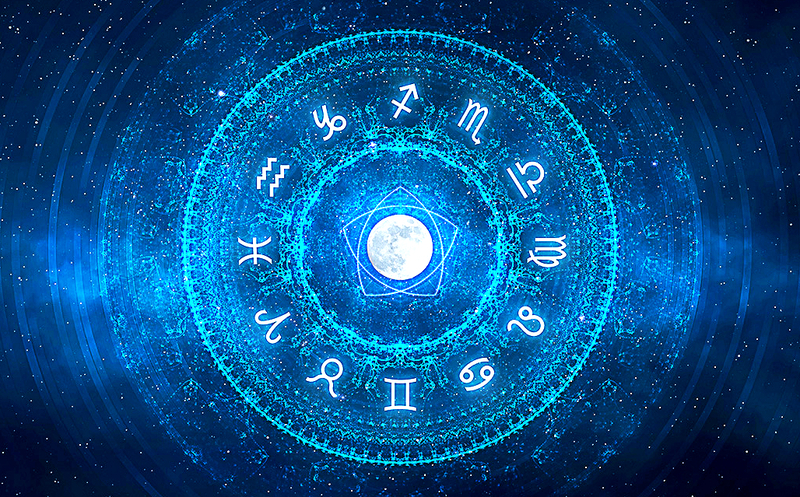 Here is what astrology experts from Gostica predict January is bringing for each Zodiac Sign! The prerequisite for starting a new path is to eliminate everything that prevents you from doing so. Therefore January will be a month of cleansing, interior and exterior for you. You will have the ability to eliminate anything that makes the change you have been wanting for so long this difficult. Now it is finally possible, even in anticipation of the next three years during which Saturn in Capricorn, will awaken the “King” and “Queen” in you. Become the rulers of your own life. You are a sign that finds it quite hard to change the road. Your fixed quality and the earth element to which you belong to, makes you sometimes too “firm” on your beliefs. Now it is time to change, to take a new path. The stimulus will be activated by relationships that will require the transformation that becomes necessary in this period. A new phase is opening up in front of you and you’re on the verge of facing a major change. The star composition that is being formed in the sign of Capricorn is an element of profound metamorphosis for you, a condition of death and rebirth. You have the possibility to leave old patterns that you feel now limiting. This will give way to a new, much more open vision of life. Work will be the sector that will be most influenced, thanks to which you are looking for your place in the world. You will be asked to start a growth path; you will be asked to become adults going beyond your limits. Beautiful this sky. Even if Saturn begins a path of opposition that will last 3 years, his teaching will make you grow, allowing you to establish mature and stable relationships. The question that will immediately be asked by Saturn is: are you in love with the person you are with? Do you like what you do in life? From this month, you will observe everything with the eyes of Love. If you don’t feel passionate, do not do it. January finds you looking for your stability. It is probable that family or home-related events will bring you back to a more real dimension of life. Then you will begin to ask how much your family limits you in the freedom of choice, what value your roots have. The squares of Jupiter and Mars in Scorpio, “force” you to take care of someone who needs your help. It’s a really interesting start to the year: love starts knocking on your door. Whether it is a relationship or a professional project, January will ask you to fall in love, to awaken the passion for life, for love, for what you like to do. It is now possible to come out of rigid schemes that you have built over the years. It will be three important years because you will stabilize a relationship and rediscover love. January will be the starter of this process. Saturn will position itself in a quadrature position and for the next three years it will be your thorn in the side. Nothing serious, only that it will ask you to give yourself a definite shape, to stabilize yourself, to find a centering. The only way to take, is the on of caring of yourself, to develop more sweetness and learn to express your emotions. Overcome the rigid mental schemes that you have built over the years. Trust your feelings more and the judgment of others less. The composition of planets in the sign of Capricorn, colors January of intense shades. You will feel the need to change your image, to transform yourself into the beautiful butterfly you really are. It will be a long process that will last three years, at the end of which you will be a different person. January will be a month of important decisions for yourselves. Some will cut ties that have now become problematic, others will have the courage to express what has been weighing on their hearts for too long. You will rediscover a good faith in life. You are the sign that has more than any other sign of the zodiac excellent intellectual and imaginative skills. It is time to stop looking for the island that is not there. A good sense of realism will allow you to become excellent companions, good workers, laying the first brick on which you will build your new life. In the next three years, Saturn in Capricorn will ask you to find your stable form and to realize all the knowledge you have acquired over the years. Begin the phase that will allow you to believe in yourself without going to look for your value elsewhere. Saturn, Mercury, Venus and Sun will give you the right indications on which points to change in your life. Saturn in particular will ask you for a profound inner transformation, it will ask you to open your heart. In January you will finally understand that you “need” others, that you are not infallible and that you do not get far away on your own. Perhaps initially the road will be a bit difficult, but you will see later that if you accept the change, the joy coming as a result of it, will make it all worth it. Jupiter and Mars in Scorpio could create some problems, difficulties and setbacks. Do not panic! It is the message that it is time to take responsibility for your life and that of your loved ones. Isolation is useless, rebelling is like running away. It is necessary to listen and understand the needs of others and yours too. Saturn in Capricorn will ask you to overcome the fear you have of living life fully. It is time to fully express your vocation. Be coherent. In these Saturn squares years, you have been called upon to make important decisions concerning relevant aspects of your life. Perhaps you have not yet taken those decisions. Now, with the entry of Saturn into Capricorn, you will have the chance to make your dreams come true. The turning point will be within you because you will have another point of view on the events you are experiencing. As if by magic, you will get the enlightening idea that will really change your way. Try to collaborate more with the people around you.